Shawn P. Brock | Hupy and Abraham, S.C.
My wife was very skeptical that there would be more money for us than originally offered by the insurance company. I guess you proved her wrong. I was very impressed with Attorney Brock's handling of mediation. Shaw was very friendly and helpful. I was nervous going through this. Shawn made me feel comfortable to help lessen that. They all were great!! Shawn also rides a motorcycle - so I knew he would get me the best possible results. 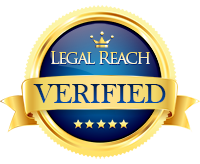 Attorney Shawn Brock is proud of the firm’s integrity and welcomes you to post your own review. If you had a nice experience with Attorney Brock, let us know. We enjoy receiving feedback from our clients and we’d love to hear from you. I was very pleased with the support and understanding I received with Hupy and Abraham. THANK YOU to the attorney, Shawn Brock for his communication and knowledgable help! !